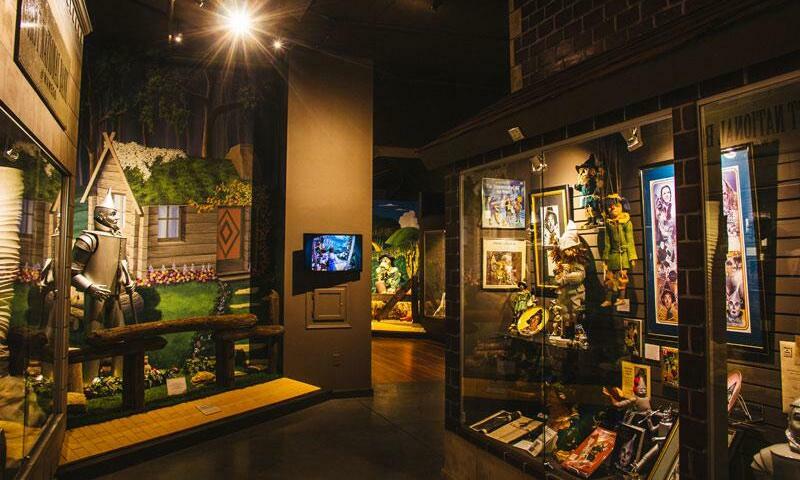 The OZ Museum is dedicated to all things Wizard of Oz, from the 1900 L. Frank Baum children’s book to the 1939 MGM musical to board games and modern collectibles. The museum houses over 2,000 artifacts relating to L. Frank Baum’s magical world, including memorabilia from the Judy Garland film as well as from “The Wiz,” and the lesser-known Oliver Hardy Films. Among the items on display are hand-jeweled ruby slippers covered in Swarovski crystals that were created to commemorate the 50th anniversary of the making of the movie; 24 color-illustrated pages from the first edition of The Wonderful Wizard of Oz, first published in 1900; and flying monkey miniatures from the Wizard of Oz movie. Each fall, the Museum hosts OZtoberFest in collaboration with local wineries and restaurants, which features a Yellow Brick Road bicycle ride; live theatre presentations of the Wizard of OZ, and Oz-themed treats.